Saute garlic for about a minute, then add tomatoes, Aroma seasoning and merlot. Stir over low heat about 15 minutes. Pour over meatloaf. Heat olive oil in pan and add zucchini, onions, and rosemary. Saute over high heat until browned but not too soft. Add salt and pepper to taste. 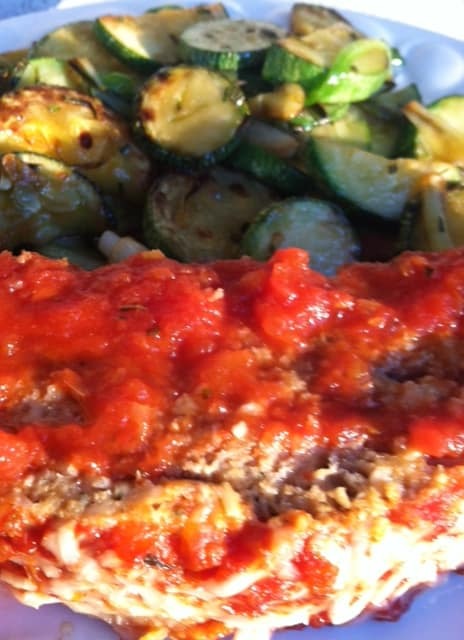 Serve with turkey meatloaf.